U nwilling to meet the increased rent imposed by the managers of the Brooklyn Paramount Theater, New York City disc jockey Alan Freed moved his hugely successful 'Rock 'n' Roll Holiday Jubilee' to the Academy of Music in Manhattan. Which gave competing disc jockey Tommy 'Dr. Jive' Smalls the opportunity to move his show from Harlem to the Brooklyn Paramount, where it opened its week-long engagement on December 23, 1955, a day following the premier of Freed's 12-day stand, downtown. While Freed's stage shows – like his trendsetting radio program – had always been integrated, this was a first for 'Dr. Jive.' He had a strong line-up of R&B performers on the show, among them Bo Diddley, Clyde McPhatter, the Flamingos, the Five Keys, and the Turbans. One of the two white acts was a vocal group, the Cheers, protégés of Jerry Leiber and Mike Stoller, whose hits (to that point in time) included Bazoom and Black Denim Trousers And Motorcycle Boots. 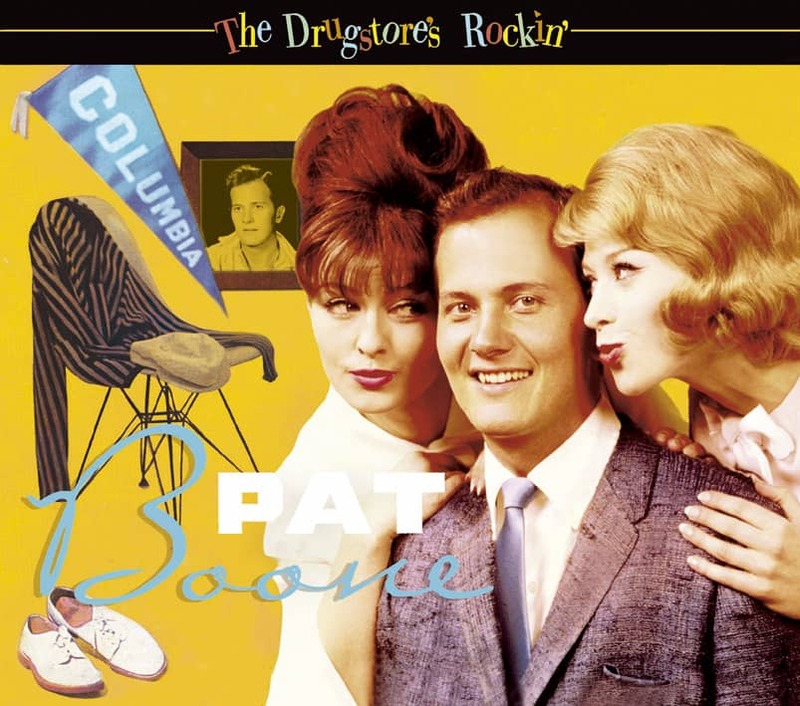 The other…well, as Ruth Brown, another of the stars on the show, later put it, "Pat Boone, with them white bucks on his feet, runnin' in late from school." Brown may have been somewhat bemused by the Columbia University English Literature student wearing his signature white buckskin shoes and singing to a predominantly black audience songs that many of them recognized from earlier versions by black acts. Others, though, were less impressed. Many years later, Little Richard biographer Charles White wrote: "As [Little Richard's] 'Tutti Frutti' climbed the charts, it was covered by two white artists – Pat Boone and Elvis Presley...This actually helped sales of Richard's original version, as people who had never heard Rock 'n' Roll (sic) before became turned on to the new sound. But in general, the policy of the 'white' record companies covering the songs of black artists was a cruel larceny of original talent." 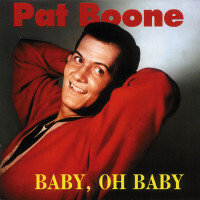 (While Boone’s version was a cover and did compete, Presley’s came out later and only as an album cut). Of course, in life nothing is that simple. Many acts, including Teresa Brewer, Gale Storm, Georgia Gibbs, the McGuire Sisters, the Diamonds, and Bill Haley were recording their own versions of R&B hits for the white market. As Boone himself explained to former 'Newsweek' pop critic Karen Schoemer, "The revisionist idea has sprung up, somehow, that when pop artists covered an R&B record we were inhibiting the progress, instead of enhancing the progress, of the original artists. But in those early days, R&B music did not get played on pop radio. It was too raw, rough, unfinished sounding, garbled – you couldn't understand all the words. People were used to big bands and polished productions. Deejays weren't ready to play it and people weren't ready to receive it. But when we would do a more polished pop version of a song, it had a chance, and it began to catch on. People don't understand the necessary role the cover versions played. It was pop artists doing R&B music that focused the spotlight on the original artists and opened the door." …And to Joe Smith, "...Everybody was aware that the original artists were not going to get played on 90% of the radio stations in America. They were not going to play an R&B record by Chuck Berry, or Fats Domino, or Little Richard. In fact, the original artists hoped and prayed that their records would get covered by someone who could get airplay, because it meant that their records were going to get even more recognition in their own field. It would change later on…but we were sort of like catalysts who helped R&B become rock and roll." "When I first heard [ Boone's'Ain't That A Shame'] I didn't like it," Domino told biographer Rick Coleman. "It took two months to write, and he put it out almost the same as I did. It kind of hurt." Domino, who profited from writers' royalties as well as indirect exposure, may have changed his mind in later years. "I went to see…Domino at Al Hirt's place in New Orleans," Boone recounted to Smith. "When he heard I was in the audience, he called me up on stage and he said to the crowd, 'I want you all to know something. You see this ring?' He had a big diamond ring on every one of his fingers, and he pointed to the most prominent of his diamond rings and said, 'This man bought me this ring, with this song.' And we sang 'Ain't That A Shame' together." Years later,Domino would bring Rick Nelson onstage to duet on I'm Walkin', a Domino original that Nelson had taken to the top on the heels of Fats' own version. 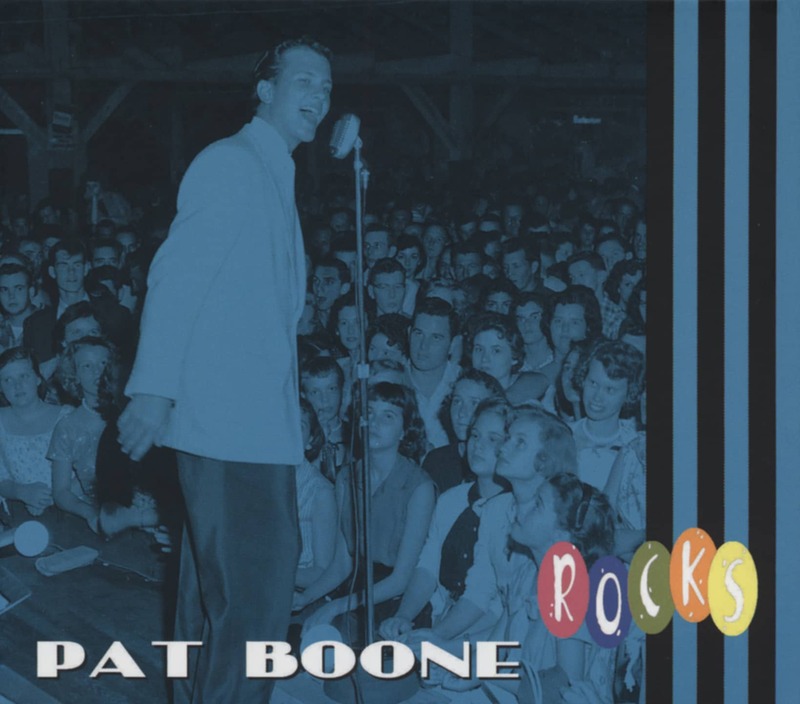 While nobody's going to confuse a Pat Boone recording with one by Little Richard, Domino or Big Joe Turner, several of his R&B-influenced songs were legitimate hits, and had their own kind of charm. 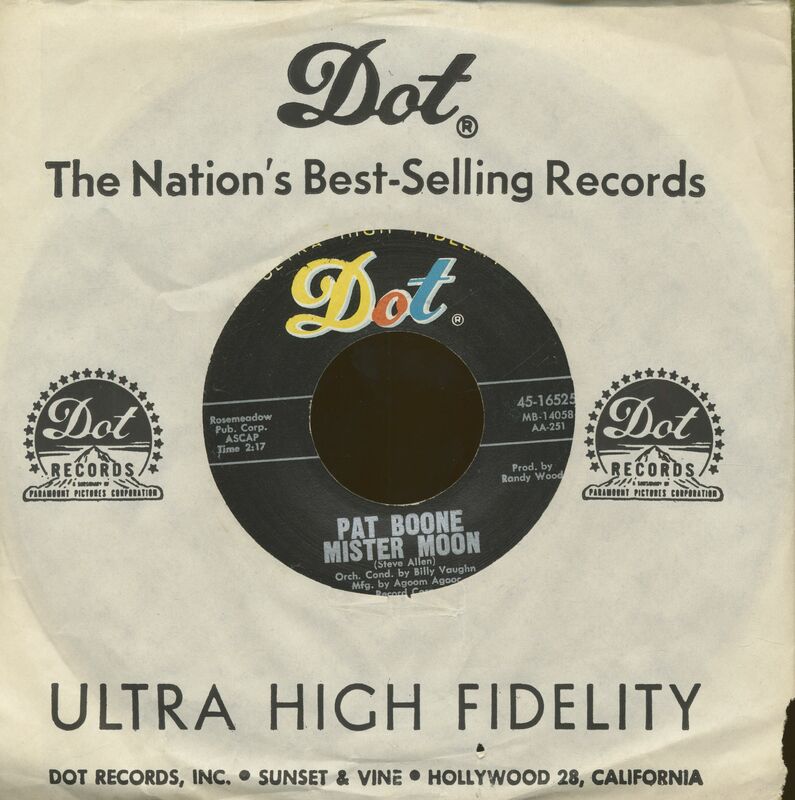 Indeed, Boone landed four singles on the 'Billboard' R&B singles chart. Certainly black and white songwriters were lining up to get the attention of Boone, or of Dot Records' chief Randy Wood. And many of them succeeded. Not every song on this compilation of some of Boone's more up-tempo material began its life as a R&B cover or revival; but all of them share the same vibrant spirit; that of a man who loves what he's doing, and wants to share the fun. And now for some observations on the more notable songs in this collection. 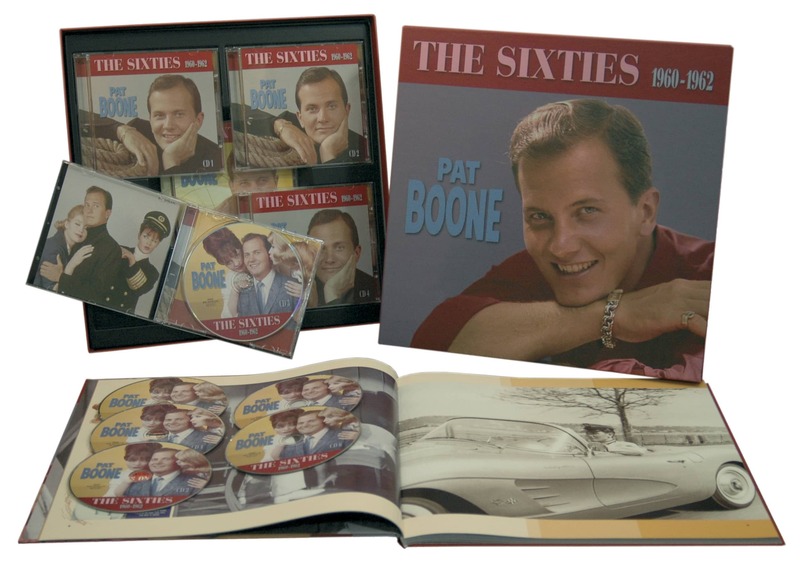 "On Saturday night," Boone told me in 1993, "I won on 'Ted Mack,' qualifying for the finals, and on Monday I appeared on 'Arthur Godfrey' and won a week's worth of performances on his daily radio show. The Ted Mack people told me that I had won hands down, but that they'd have to disqualify me." Pat had recorded a few sides in a Tony Martin pop vein on a small, local label without any success. But one day, visiting his parents in Tennessee, he received a call from Randy Wood. Owner of Randy's Record Shop in nearby Gallatin, Wood also ran the Dot Records label from his store. "Randy had been watching me for a couple of years, and was convinced that I could sing like a professional. He was enthusiastic, he was nice, we shook hands, and he said he'd call me as soon as he found a song that was right for me." Months passed, and Boone was back at school in Texas when he at last heard from Wood. "He sent me a ticket to Chicago, where he wanted me to record a song he'd found called 'Two Hearts'." An unlikely choice for Boone – whose idols (keep in mind that this was before Elvis Presley broke through) included his father-in-law, country singer Red Foley, and Bing Crosby – Two Hearts was the third hit by the Charms, a black group from Cincinnati recording for the Deluxe label. Another Charms' hit, Hearts Of Stone, had been successfully covered for the white market by the Fontaine Sisters several months earlier, also for Dot (another of the Charms' hits had been a cover for the black market of the Cheers' Bazoom). "I'd never heard 'Two Hearts,' but from the title I imagined that the song would be something in waltz time, like Perry Como might do." Then, Wood set up a portable record played in his hotel room and repeatedly played the jumping R&B dance tune with a boogie beat. The arranger and conductor on Boone's version was Lew Douglas, who'd been an arranger for the NBC Radio's Chicago orchestra, and who was recording with Chicago-based acts including Joni James. Customer evaluation for "Mister Moon - Love Me (7inch, 45rpm, CS)"